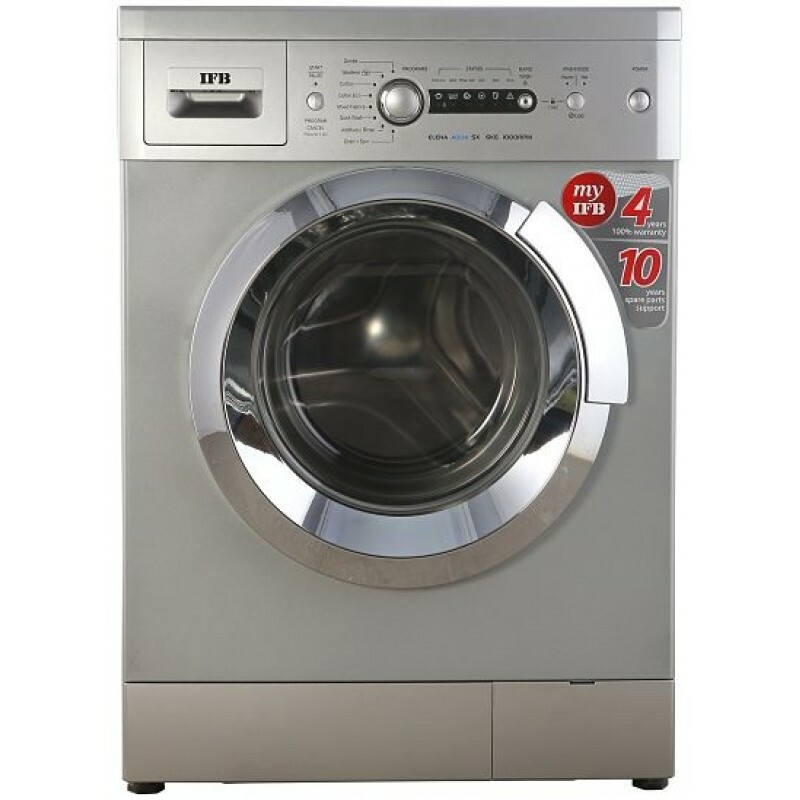 A front load washing machine that makes good use of a superior Air Bubble Wash System which first creates and then releases agitated air bubbles into the water flow system to deliver a good cleaning job. These bubbles eventually activate detergent particles and lead them to penetrate deep even into hard linen clothing fibres to get rid of stubborn grease and dirt there. Aqua energie system to treat hard water: If an area is supplied hard water, using the IFB Senator Aqua SX washing machine may just prove to be the right remedy for it works by infusing a special Aqua Energie System that treats hard water. The system identifies and changes the bicarbonates in water into crystals. 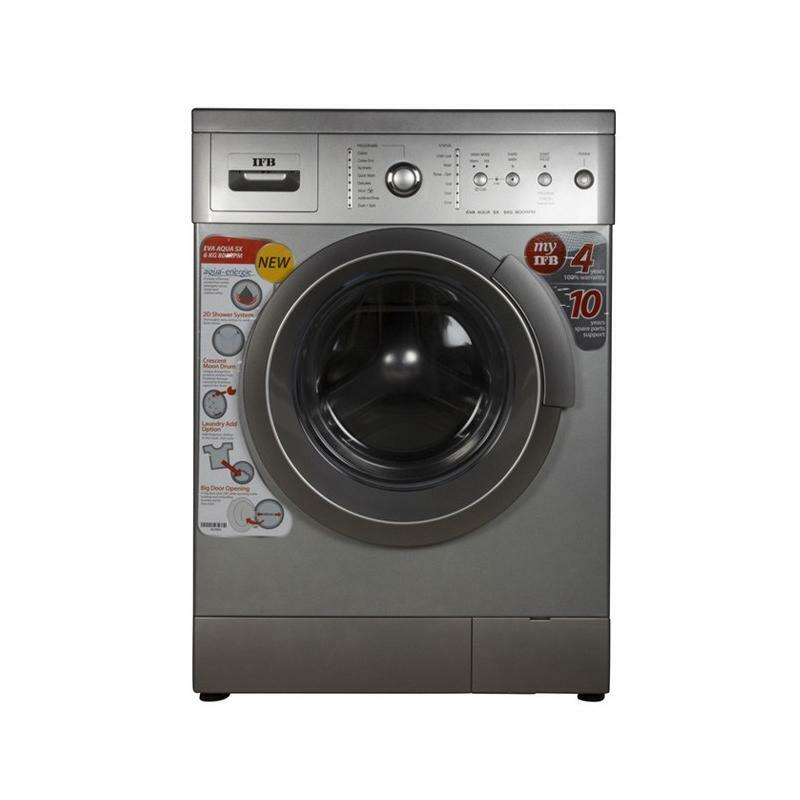 The treated soft water then allows the detergent to dissolve properly and washes the clothes with care. On the other hand the crystals thus formed by breaking up the bicarbonates are so minute that instead of forming any scale affecting the machine, they flow with the water. During rinsing, the softer water cleans the clothes better and more efficiently. 3D wash system: The washing machine makes use of nozzles to circulate the water 360 degrees around the drum. This makes way for the detergent to dissolve into the water more efficiently, and helps to penetrate into the clothes deeper for an efficient wash.
Crescent moon drum for protecting the clothes: The crescent moon shaped drum of the washing machine curves the water up in a swoosh pattern and prevents the clothes from getting rubbed against the steel wall of the drum. Any accidental tearing of the clothes is prevented by this mechanism. Foam control system for a better wash: The washing machine boasts of a superior foam control system that identifies excessive foam generation, and dilutes them automatically for an effective wash.
Add laundry midway through: The technology of this washing machine helps one add more laundry midway through the wash. One simply needs to halt the machine by pressing the pause button, add more laundry and set it ON again. Tub clean facility for a more hygienic wash: The tub clean facility restrains growth of bacteria, fungi and other germs, and eliminates all impurities from the washing machine. This feature also eliminates different types of bad odour and deodorizes the machine for a fresh wash.